Rivers United FC will round off their pre-season preparations for the 2016/17 season in Madrid, Spain. The contingent of 41 persons (28 players and 13 officials) will depart for Spain on Monday, December 12 via the Nnamdi Azikiwe International Airport, Abuja. General Manager of the Port Harcourt-based Nigeria Professional Football League (NPFL) club, Chief Okey Kpalukwu revealed that the Rivers United contingent will spend 10 days in the Spanish capital. “Our arrival date in Madrid, Spain is December 12. “We will round off our pre-season activities in Spain. This will be very good for our football club as Spain has a tradition of winning. “Our players and coaches will also be exposed to state of the art equipment and facilities which will help us in no small way as we look to compete for honours on three fronts in the upcoming season. “I want to use this opportunity to thank our sponsors, the Rivers State Government for making this possible,” Kpalukwu said. The technical crew of Rivers United led by manager, Stanley Eguma are also expected to be huge beneficiaries of the programme as a crash course on coaching methodology has already been arranged with the La Liga club. On Monday, December 13, the Rivers United contingent will attend a La Liga match from 20:45 GMT. 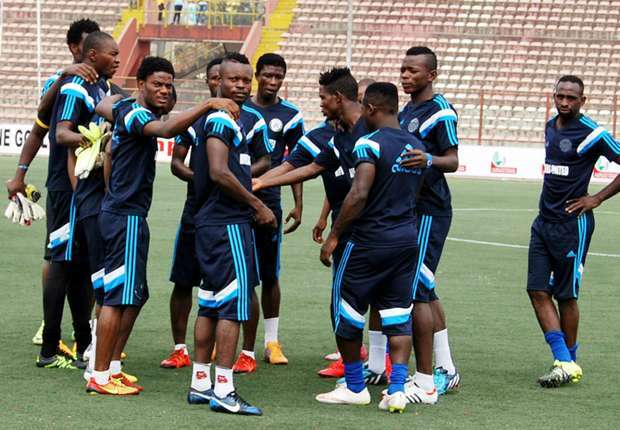 The Rivers United contingent is due back in Nigeria on Thursday, December 22.